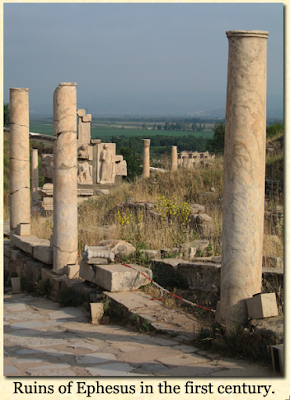 Cathy and I just returned from a trip with Insight for Living to a number of biblical sites in Turkey. The most impressive? Hands down, it was Ephesus. The apostle Paul devoted three years as a missionary living in Ephesus. Later, when imprisoned in Rome, Paul penned the book of Ephesians to this vibrant church. Paul also would write two letters to Timothy, the church’s pastor. Finally, the apostle John lived there and probably wrote the Gospel of John before his exile to Patmos. What great teaching Ephesus received! No wonder Jesus commended them as John wrote to them from Patmos (see Rev. 2:1-3). They had stood firm in both their deeds and their doctrine for 30 years. Wonderful! “But I have this against you,” Jesus continued, “that you have left your first love” (Rev. 2:4). Amazing—this church had received three books of Scripture and two resident apostles! 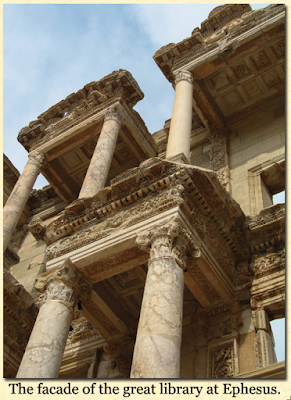 While other churches struggled against heresy, Ephesus had guarded their deeds and doctrine. Yet they had failed to maintain their devotion. Moreover, they had left it. During our tour of Ephesus, I stood at the end of the Arcadian Way. The silting of the harbor had removed the city’s economic influence. Even today the Aegean Sea sits miles from the ruins. I began to relate that silting to the spiritual life—the silting of the heart, not the harbor. Grain after grain of busyness, year after year of neglected devotion to Jesus, had finally reduced a church of such doctrinal strength to devotional attrition. The Ephesian Christians had lost their first love by allowing the silt of spiritual indifference to accumulate over the years. It can happen to anyone. Even to you and me. We can wake up after a number of years and discover that our lack of passion for Jesus has gradually silted Him five miles away from our hearts. Our hearts begin to silt when we content ourselves with maintaining a level of godliness that makes cultural Christianity our standard. In other words, compared to most Christians, like Jim or Susan or Pastor Ted, our spiritual life meets the standard. We seem in great shape. Our challenge has become spiritual maintenance rather than spiritual growth. And our hearts fill with silt without our knowing it. But the pattern for the Christian life has never been other Christians—it is Christ. How easily we can forget that. Do we strive to be- come like Him or like our Christian culture? Do we give our all to Him—or do we just give what’s necessary to keep up appearances?